Many dog owners throughout South Florida still are not taking the measures necessary to ensure their pets do not hurt others through vicious biting incidents. 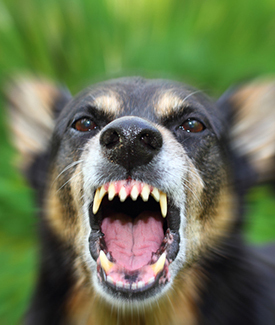 Dog bites continue to be common occurrences all throughout Broward County, Palm Beach County, and Miami-Dade County. That is, despite the fact judges and juries continue to award victims of these assaults with monetary awards that cover the costs of medical bills, pain and suffering, lost wages and other future income opportunities, and nursing care. If you have been bitten by an unruly or aggressive dog, there are important steps that must be followed to ensure both that your health and well-being are protected, and that you are well-positioned to recover a monetary award necessary to move forward with your life. Any dog attack that occurs on public property -- or on the dog owner's private property if you were either invited there or were there carrying out official business as stipulated in the Florida Statutes (such as postal workers) -- can give rise to a lawsuit. At the Law Offices of Brumer & Brumer, our personal injury attorneys work on every case to ensure our clients receive the maximum possible payout. We never charge a fee for initial consultations and we don't get paid unless our clients receive a financial award. If you or one of your loved ones has been bitten by a dog, we encourage you to call our office today.